Feel welcomed home every time you arrive to this bright and airy Craftsman! The spacious 1600 sf. house is full of comfort, style and natural light and offers 3 large bedrooms and 2.5 baths, Master bedroom has it's own extra-large bath with a luxurious soaking tub and shower, private toilet area. Chefs will love the kitchen with stainless steel appliances and ample counter and cupboards. Get the best of both floorings with stylish hardwood on the first level and new carpeting upstairs, accented by white-colored walls, new wooden blinds and upgraded lighting throughout. Your living space extends to the yard, with a verdant lawn. In the back, find a secluded oasis surrounded by fencing, where you can relax and enjoy outdoor dining with a view of nature. Nature lover can make great use of walking trail behind the house and enjoy the nature. 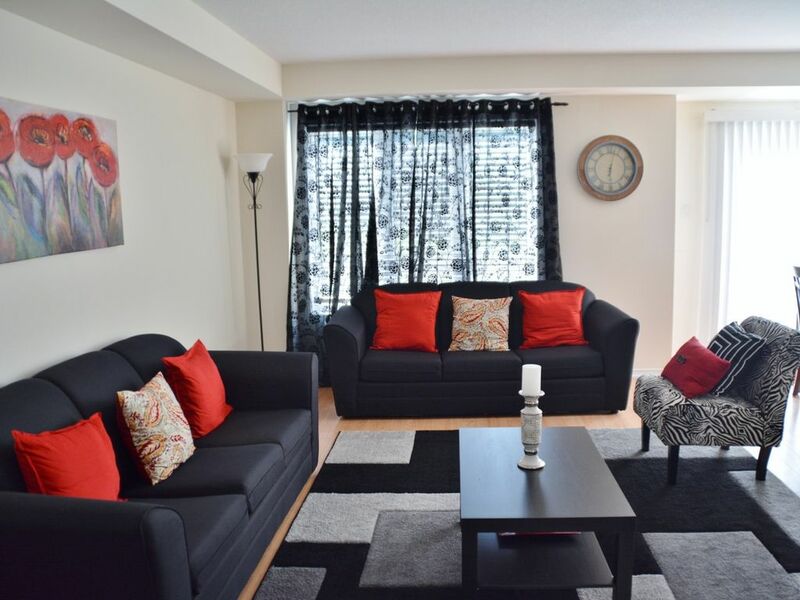 Situated in the highly coveted area of Niagara Falls, it's a quiet, low-traffic area with an established, tight knit group of great neighbors. The award-winning planned community is safe and easy to navigate. The Basement is undeveloped and not included for this listing. There is no access to the basement. The Garage access is also not included for this listing. Parking is free which is on our driveway. Please leave shoes at the entrance. Do not move any furniture, fixtures, appliances, and furnishings. No house parties. No unregistered guests without prior host approval. No smoking, marijuana, incense, candles, or burning of any other substance inside the house. Any complaints from neighbors of disruptive and illegal behavior will result in complete forfeiture of your security deposit and potential cancellation of your reservation.